At Contemporary Websites our mission is to use style, functionality and technical precision to make your website work for you. We improve your web presence, increasing your business’s visibility and profitability – whether for desktop, tablet, or mobile responsive. Our Web Design services extend to customers a user friendly, artfully designed format that works with all major internet browsers and devices. Contemporary Websites completes just as many new websites as it does redesigns of existing sites and they all stick out among the crowd. So many web design firms sell you on the overabundance of options. We work on the premise that less is more – when what exists is what’s most important to you and your business. Contemporary web design inspires a fresh, clean, visually appealing design. This works to your advantage in a multitude of ways. Search engines index your site at a more rapid pace, content shifts and features as your site appears on mobile sites, compliance and best web practice are all taken into mind and utilized. Based in St. Petersburg, Florida, Contemporary Websites is available to work one-on-one with clients across the United States and globally. Most recently we’ve worked with clients in Boston, New York, Beijing and London. We’ve worked the gamut; corporate giants performing arts organizations and local artist alike. Our team is ready to work with you. Please visit our portfolios and feel free to contact us with any questions or other inquiries. Any designer building websites today, should be well versed in Responsive Site Design. A fundamental piece of the design process is the knowledge that the website will be viewed on many types of devices from computers to tablets to smartphones. Understanding this from concept to completion helps the designer to offer full responsive capabilities. It is important to clarify some terminology for the benefit of a client. Adaptive websites are not necessarily responsive ones. An Adaptive website will change in to fit predetermined screen and device sizes. 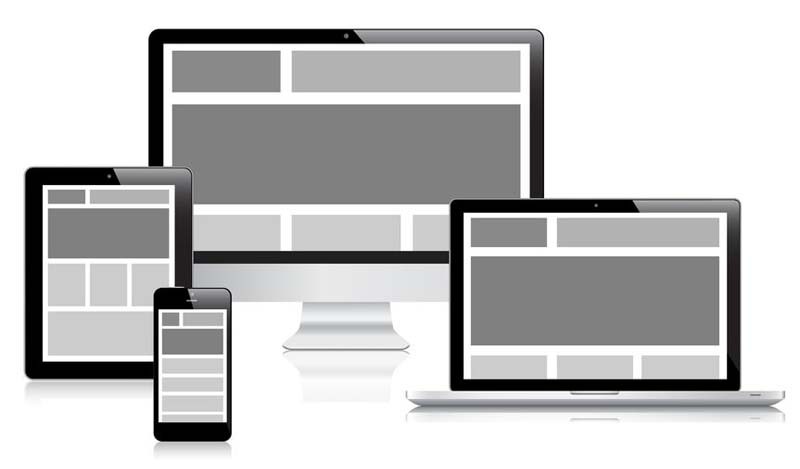 Responsive sites are fluid meaning they will adapt and respond to any screen or device.